How to watch Hocus Pocus (1993) on Netflix Bangladesh! Sorry, Hocus Pocus is not available on Bangladeshi Netflix, but you can unlock it right now in Bangladesh and start watching! With a few simple steps you can change your Netflix region to a country like India and start watching Indian Netflix, which includes Hocus Pocus. We'll keep checking Netflix Bangladesh for Hocus Pocus, and this page will be updated with any changes. Hocus Pocus is not available in Bangladesh BUT it can be unlocked and viewed! In this supernatural family comedy, a trio of 17th-century sibling witches is accidentally resurrected in the 20th century by teenager Max. They may be a few centuries old, but they're ready to pick up their witching ways where they left off. There is a way to watch Hocus Pocus in Bangladesh, even though it isn't currently available on Netflix locally. What you need is a system that lets you change your Netflix country. 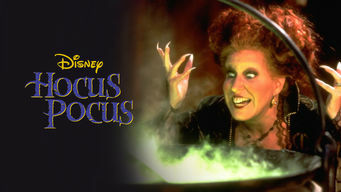 With a few simple steps you can be watching Hocus Pocus and thousands of other titles!